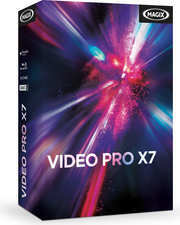 With better performance, more content, more features, MAGIX Video Pro X7 is the latest version of its successful video editing program, and is setting new quality standards in professional video production: Numerous new features and optimizations have once again made Video Pro X7 the video editing software with the best price-to-performance ratio in its class. Thanks to a wide range of optimizations, Video Pro X7 is now even more intuitive and performant than ever before. The user interface has been completely redesigned in accordance with customer feedback and given a new, modern look. The new interface allows users to concentrate on the essential – their projects. Video Pro X7 is the first MAGIX product to support both hardware-accelerated encoding and H.264 video decoding. These features have been optimized for Intel IRIS and other GPUs, allowing for faster and smoother timeline playback, even for UHD tracks. Video Pro X7 also supports import and export of the XAVC S format. The professional variant, XAVC, can be imported, edited and exported in any other file format. As with all previous versions of Video Pro X, the latest version continues to perfectly meet the growing demands of professional video technology. 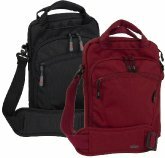 Video Pro X7 is intended for creative professionals with high demands. For this reason, the latest version of Video Pro X is outfitted with multiple new features and content to provide users with the greatest possible amount of creative freedom. 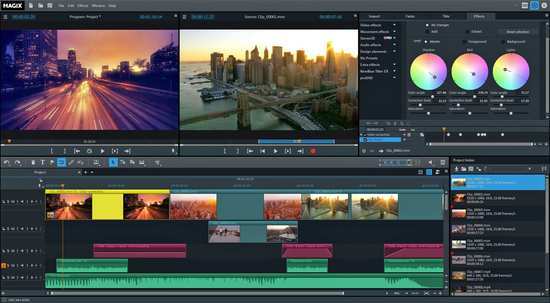 For instance, it is possible for users to download content (such as transitions, intros, outros and decorative elements) from MAGIX Movie Edit Pro 2015 for free to be used in Video Pro X7. Video Pro X7 also offers 20 new effect transitions based on completely new technology with blur presets. Transition templates can be individually configured, and users can use the blur feature to create their own transitions with radial or linear blur. 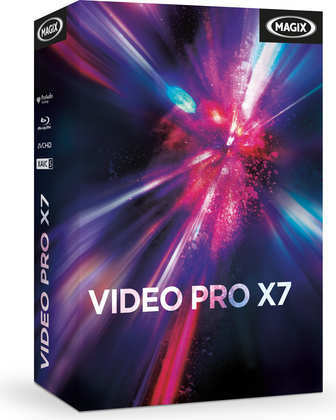 From optimized import to fully-automatic editing and upload to all standard online platforms, Video Pro X7 is perfectly tuned for editing action cam footage. Twenty five new, high-quality and completely editable templates provide fast, professional results. Jump cuts, rewind and speed effects can be easily implemented to create a varied experience. Multiple features in the seventh edition of Video Pro X have been optimized and expanded to provide even more professional results. Object tracking, for example, has been substantially improved. The "Pin object" tool makes censoring faces with black rectangles or pixelating license plates even easier. Video Pro X7 also offers complete broadcast capability with loudness normalization in accordance with the EBU R128 international guideline. Moreover, Video Pro X7 is the first video editing program to include the full version of proDAD Mercalli V4. This renowned image stabilization software corrects distortions in shaky footage and transforms jumpy recordings into stable, high-quality videos. The latest version of this plug-in features automatic CMOS correction and is seamlessly integrated into the Video Pro X7 user interface. This allows users to stabilize multiple tracks at once.